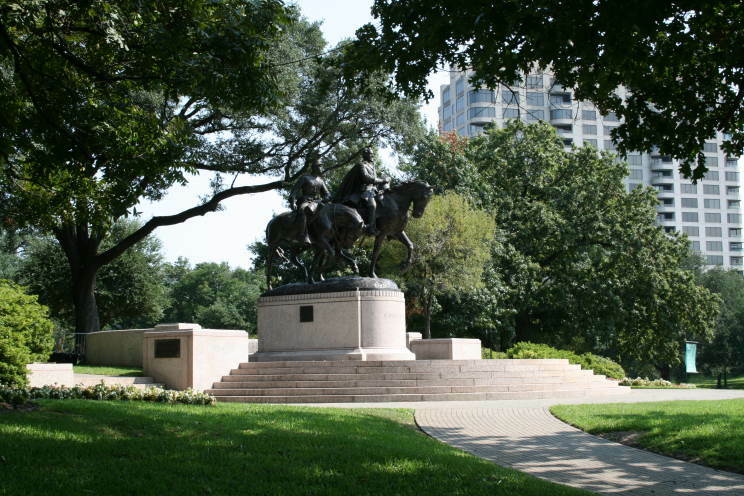 The Robert E. Lee Monument located in Robert E. Lee Park, Dallas, Texas. The park, formerly Oak Lawn Park, was purchased from private owners in 1909. 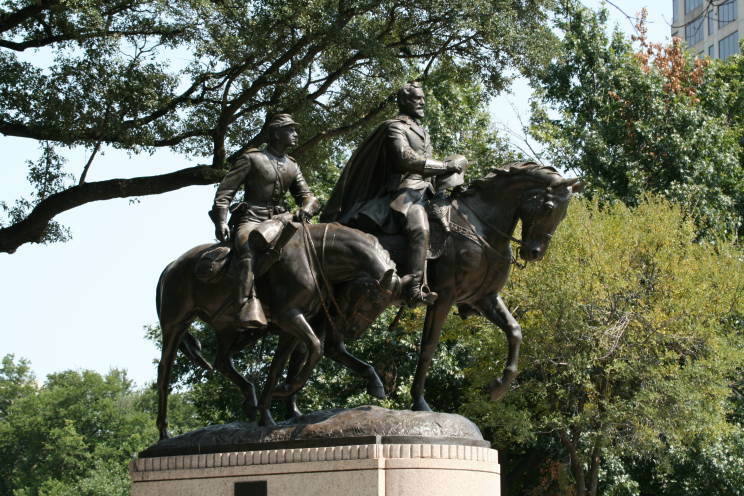 The statue, located at the intersection of Turtle Creek Blvd. and Hall St., was created by Alexander Phimister Proctor at the request of the Dallas Southern Memorial Association and dedicated by President Franklin Delano Roosevelt on June 12, 1936 as part of the Texas Centennial celebration. During his dedication speech Roosevelt said that Lee was "one of the greatest American Christians and one of our greatest American gentlemen." 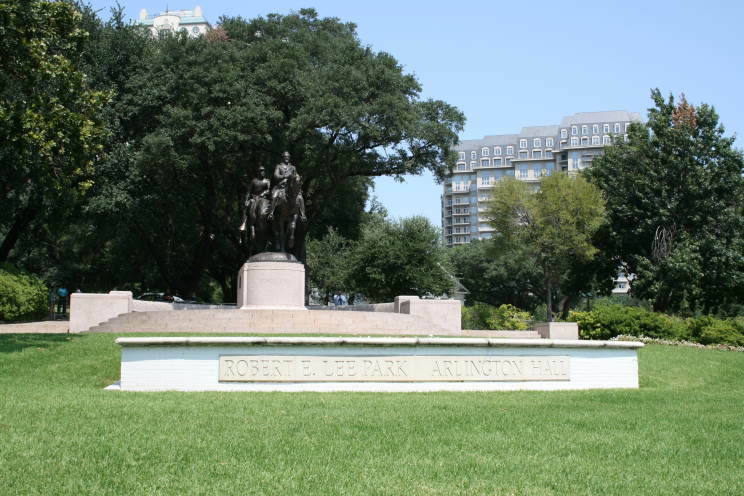 The park was then renamed Robert E. Lee Park. At the time the cost of the statue was about $50,000. Update: Apr. 5, 2019, Former Mayor Pro-Tem Dwaine Caraway (quoted above) was sentenced to 56 months in federal prison today due to being found guilty of corruption. He was also ordered to pay $500,000 in restitution. 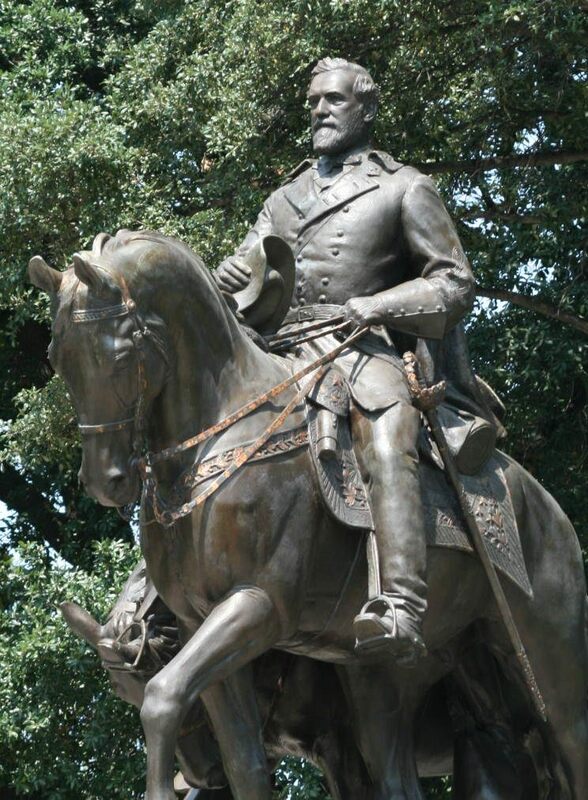 It looks like the citizens of Dallas would have been better served if they had been protected from Mr. Caraway rather than removing a statue. I might suggest that the crimes he was convicted of were the crimes he admitted to, there is no telling how many crimes he has not admitted to that are not being pursued. 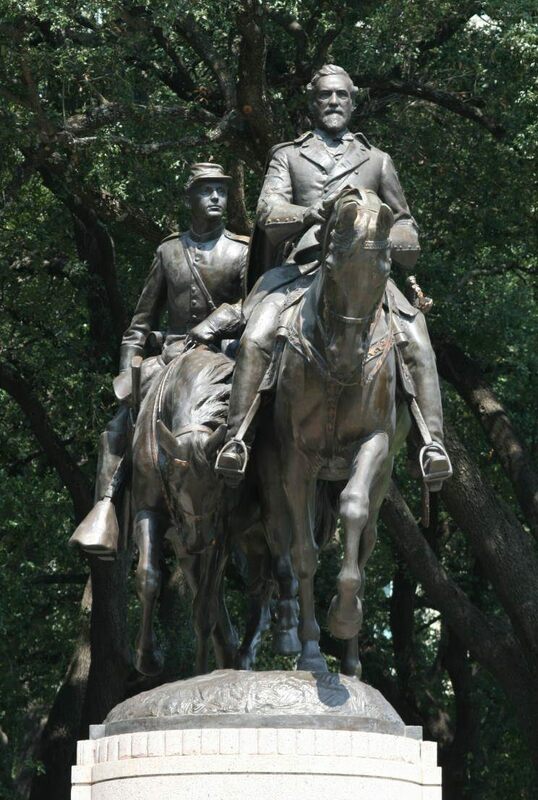 Another view of the Robert E. Lee Monument. Head on view of the Robert E. Lee Monument. 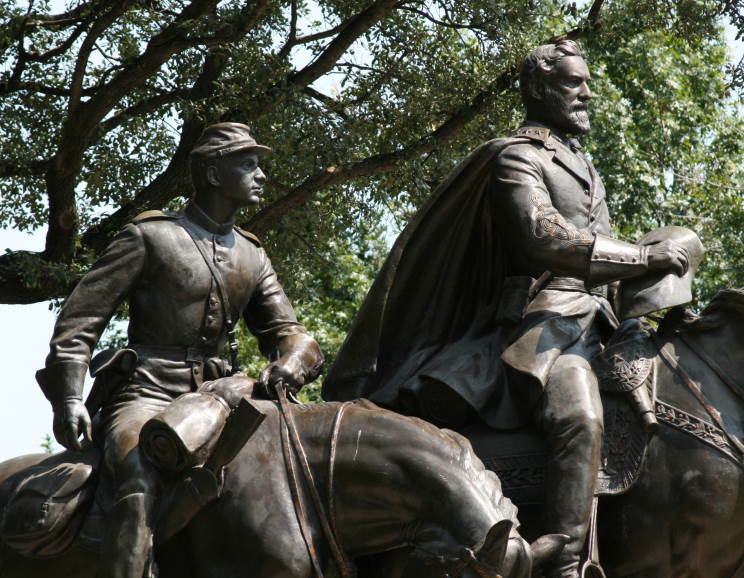 Close-up view of the Robert E. Lee Monument. 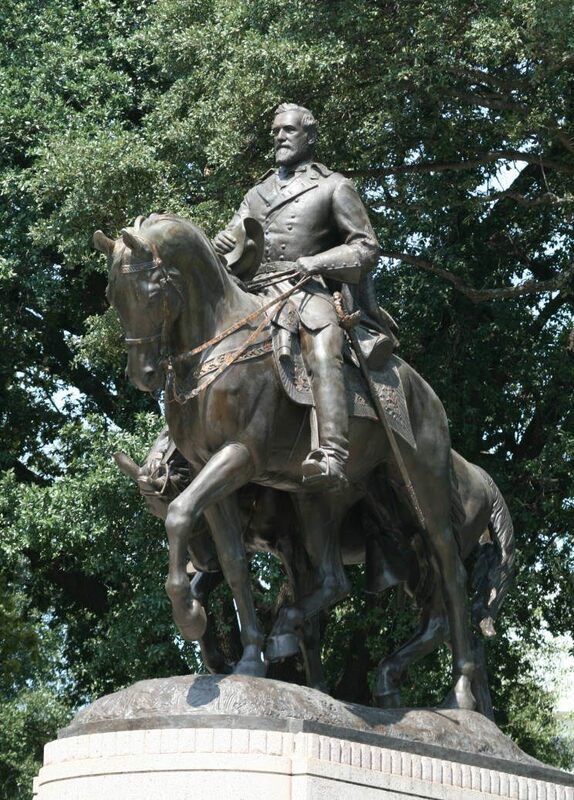 Close-up of the statue of Robert E. Lee. Close-up of the Confederate soldier riding with General Lee. 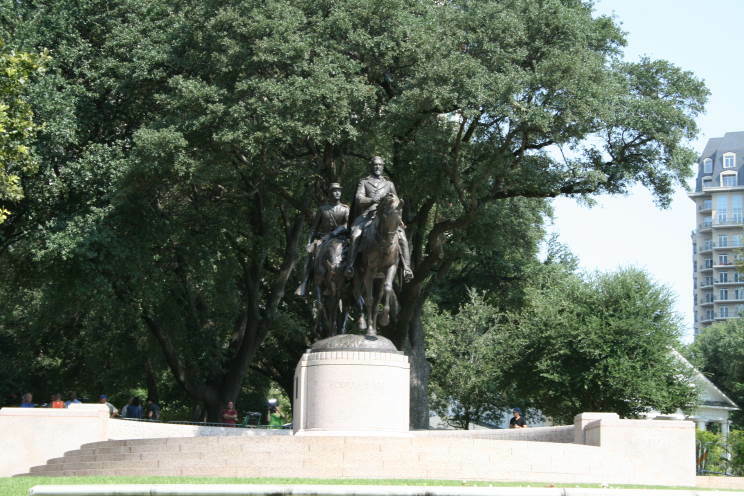 Side view of the Robert E. Lee Monument.